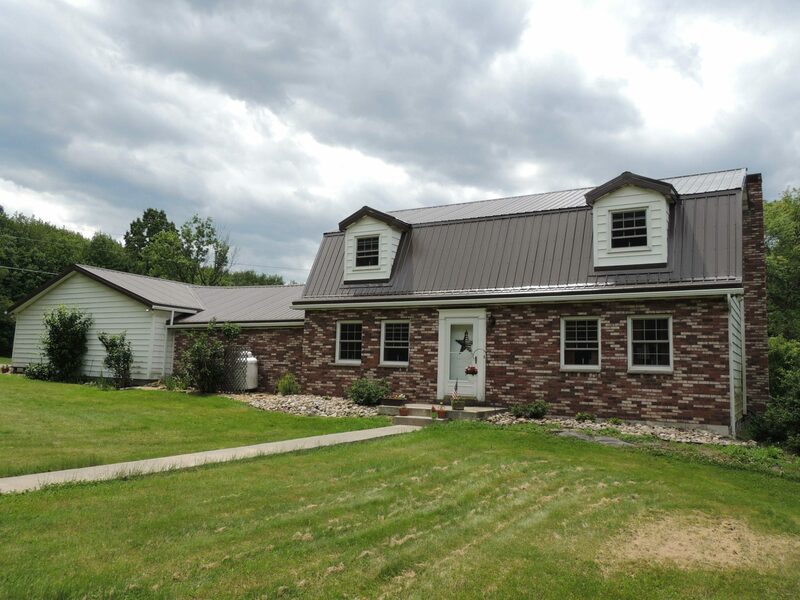 Garage Doors, Metal Roofing, Pole Buildings, and more! Serving the Southwestern Pennsylvania region since 1998, with showroom in Acme and an office in Belle Vernon (by appointment), Tri▼County is your home town building supplier. Serving Westmoreland, Fayette, Somerset, Southern Allegheny, Eastern Washington, and Eastern Greene Counties. At Tri▼County, our mission is to provide affordable solutions with responsive, home-town service. We’re your neighbors, serving our local communities with pride. That’s why no job is too small, and there’s no challenge we wouldn’t appreciate quoting for you. …or visit our Contact page to speak with one of our experts at a Tri County showroom near you. We know your concerns. At every turn, you run into fly-by-night operations and inexperienced franchise owners. When it comes to doing things right, there’s only one Tri▼County Building Supplier. We’ve been growing strong since 1998, and our dedicated sales, installation, and repair teams have decades of in-depth product knowledge. We have expertise in what it takes to serve Southwestern Pennsylvania homes and businesses, deal with PA weather, and ensure that Southwestern Pennsylvania families get the most from the investment they make in Tri▼County products and services. Check out our customer reviews. We look forward to providing the best possible customer experience for you too. Contact us today – prompt, convenient, reliable, local service awaits. Recent project, new roof and garage door. This is our second garage door(separate houses) from Tri-County. Both experiences have been great. The garage door is of high quality and well insulated. We love the windows on this garage door. Pat is easy to work with and was accommodating to our schedules. I would highly recommend Tri-County. Excellent service . We've had a few Garage doors replaced ,fixed , and adjusted at Dumbauld's Tire Service .Very quick response time and quality workmanship . We highly recommend Tri County for your next garage door work. Tri County did an excellent job installing garage doors at MF&B Restaurant Systems, Inc. They showed up at the scheduled time, worked efficiently and finished the job in a timely manner. Cleaned everything up. Would use again. Have an older metal garage door that has been backed into a couple times. Recent incident left my car in the garage with the door closed, unable to operate electrically or manually. Found Tri County Garage Doors on line, emailed them on Saturday afternoon. Monday morning received phone call, shortly repairman arrived and efficiently fixed the door. I was very pleased with this company and highly recommend them, each person I spoke with was kind, polite and price very reasonable! I recently purchased garage doors from Tri County Garage Doors. I was very pleased with the customer service I received....all the employees were very friendly, very helpful, and very knowledgeable about their product. Service was prompt, and the work was well done. Both the quality of the doors, and the work done installing them....were excellent. Thanks Tri County....I will be recommending your company to my family and friends. My experience with Tricounty was wonderful! Everyone I talked to was kind and friendly. The prices was great to, they do not over charge and you get what you pay for. My doors look wonderful I could not be happier with my price and my service. I will Recommend Tricounty to everyone I know!